hd00:13Anemones and multicolored clown fish in the stream. Amazing, beautiful underwater marine life world of sea creatures in Maldives. Scuba diving and tourism. 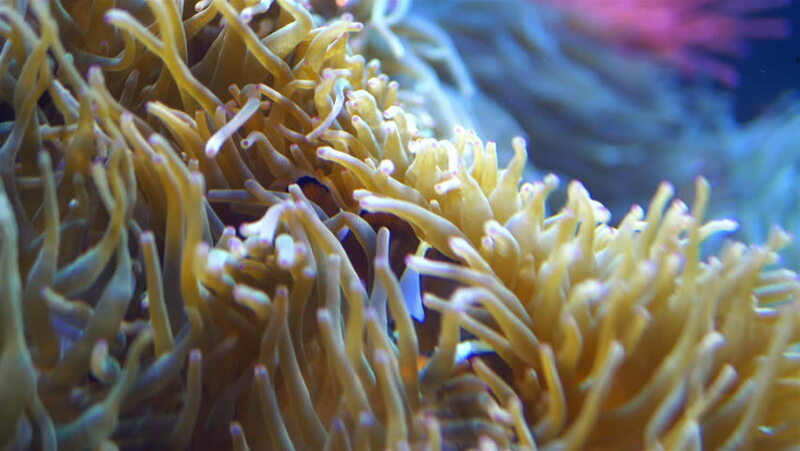 4k00:10An anemone fish swims through the tentacles of a white long tentacle sea anemone, another rests in the tentacles facing left. A tropical fish swims through the foreground, out of focus.